On Friday we went for our second scan. The main reason for this was so that the doctor could look at the baby's features in order to establish if there could be a possibility of Down's Syndrome. Because I am already 35 years old our baby do have a higher risk of this. 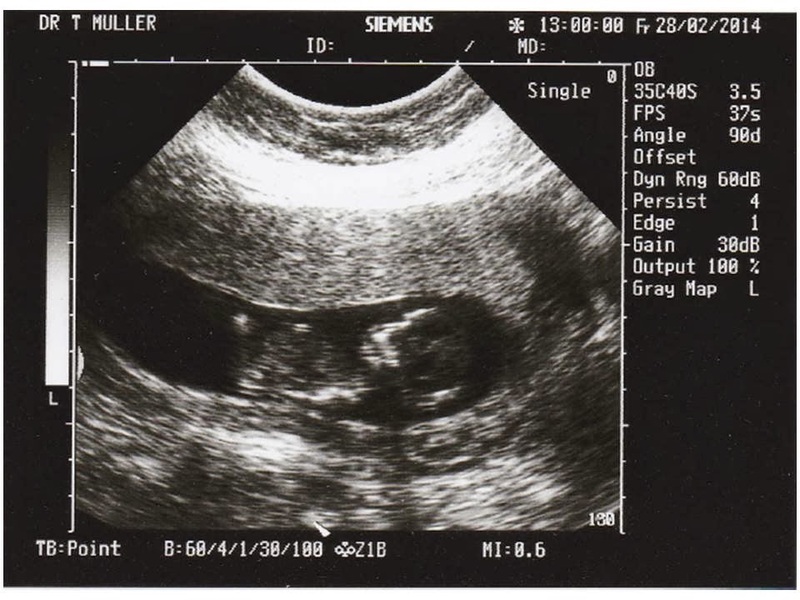 We were however not much concerned about this, as we have decided that it will not matter and that we would raise this child anyways as it is the greatest of gifts that we could have ever received. We were just happy to have a peek at the Peanut again! And a comparison to show how much our little Peanut has grown on the last 3 weeks. So excited for you and happy baby is doing well!